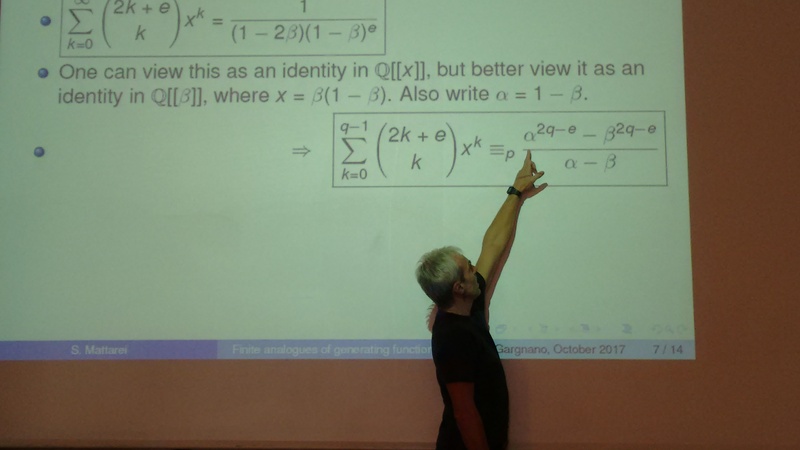 Sandro Mattarei gave an invited talk at the conference “Topics on Groups and their Representations”, which was held in Gargnano sul Garda, Italy, on October 9-11, 2017. 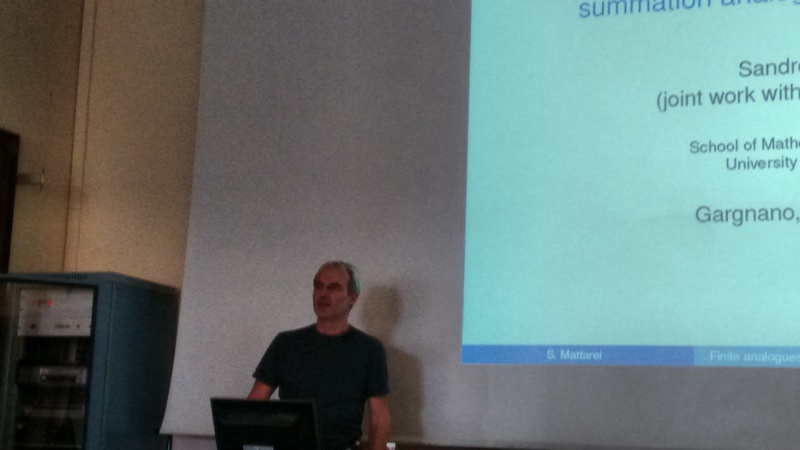 He talked about “Closed forms for generating series, and finite summation analogues modulo a prime”. This entry was posted on October 17, 2017 by Sandro Mattarei in Conferences, News and announcements, Recent places, Talks and visits.